IS NORTH GLENORA CALLING YOUR NAME? THEN THESE CUSTOM BUILT HOMES BY LOOK MASTER BUILDER ARE PERFECT FOR YOU! FULLY LANDSCAPED, FENCED AND DOUBLE GARAGE! 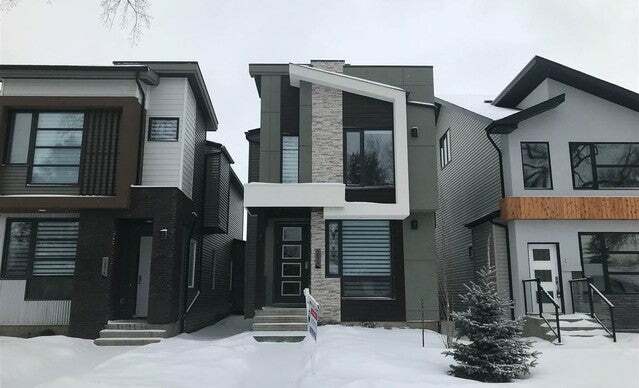 This 1622 sqft home boasts awesome upgrades such as; Luxury Vinyl Plank flooring, trendy tile floors, open riser staircase with glass curtain and a master retreat with vaulted ceilings! The home features 9' main floor ceilings, 3 beds and 3 baths. There is even a 17'x8' treated deck and a west facing yard to enjoy our long summer days. The main floor is bright, spacious and well laid out with the second floor being home to your bedrooms and laundry room. The master has a walk in closet with barn door and a 4pce en suite with dual sinks and custom shower! Bedrooms 2 and 3 also have walk in closets. This location is hard to beat, its minutes to downtown, shopping and seconds to public transportation. There is simply no better value on the market!